Early literacy apps give kids a foundation in letter recognition, alphabet sequencing, word finding, and more. Anyone who sees a child using a tablet or smartphone observes their seemingly innate ability to scroll through apps and swipe through screens, flexing those "digital native" muscles. According to Common Sense Media, the percentage of US households in which 0- to 8-year-olds have access to a smartphone has grown from 52% in 2011 to 98% in 2017. While the debates around age guidelines and screen time surge, it's hard to deny that children are developing familiarity and skills with technology at an unprecedented rate. This rise in early technical literacy may be astonishing, but what about traditional literacy, the good old-fashioned ability to read? What does the intersection of early literacy development and early tech use look like? Let's explore some open source tools for early learners that may help develop both of these critical skill sets. But first, a disclaimer: Guidelines for technology use, especially for young children, are constantly changing. Organizations like the American Academy of Pediatrics, Common Sense Media, Zero to Three, and PBS Kids are continually conducting research and publishing recommendations. One position that all of these and other organizations can agree on is that plopping a child in front of a screen with unmonitored content for an unlimited set of time is highly inadvisable. Even setting kids up with educational content or tools for extended periods of time may have risks. And on the flip side, research on the benefits of education technologies is often limited or unavailable. In short, there are many cases in which we don't know for certain if educational technology use at a young age is beneficial, detrimental, or simply neutral. But if screen time is available to your child or student, it's logical to infer that educational resources would be preferable over simpler pop-the-bubble or slice-the-fruit games or platforms that could house inappropriate content or online predators. While we may not be able to prove that education apps will make a child's test scores soar, we can at least take comfort in their generally being safer and more age-appropriate than the internet at large. That said, if you're open to exploring early-education technologies, there are many reasons to look to open source options. Open source technologies are not only free but open to collaborative improvement. In many cases, they are created by developers who are educators or parents themselves, and they're a great way to avoid in-app purchases, advertisements, and paid upgrades. Open source programs can often be downloaded and installed on your device and accessed without an internet connection. Plus, the idea of open source in education is a growing trend, and there are countless resources to learn more about the concept. But for now, let's check out some open source tools for early literacy in action! Let's start simple. Childsplay, licensed under the GPLv2, is the most basic of the resources on this list. It's a compilation of just over a dozen educational games for young learners, four of which are specific to letter recognition, including memory games and an activity where the learner identifies a spoken letter. eduActiv8 started in 2011 as a personal project for the developer's son, "whose thirst for learning and knowledge inspired the creation of this educational program." It includes activities for building basic math and early literacy skills, including a variety of spelling, matching, and listening activities. 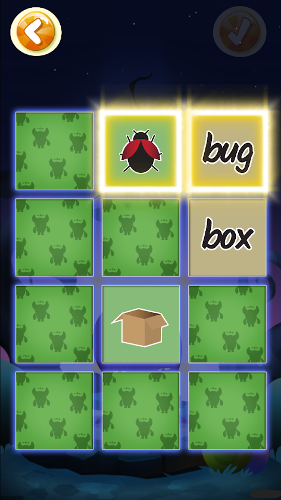 Games include filling in missing letters in the alphabet, unscrambling letters to form a word, matching words to images, and completing mazes by connecting letters in the correct order. eduActiv8 was written in Python and is available under the GPLv3. GCompris is an open source behemoth (licensed under the GPLv3) of early educational activities. A French software engineer started it in 2000, and it now includes over 130 educational games in nearly 20 languages. Tailored for learners under age 10, it includes activities for letter recognition and drawing, alphabet sequencing, vocabulary building, and games like hangman to identify missing letters in words, plus activities for learning braille. It also includes games in math and music, plus classics from tic-tac-toe to chess. The quality of the playful "monster" graphics in Feed the Monster definitely sets it apart from the others on this list, plus it supports nearly 40 languages! 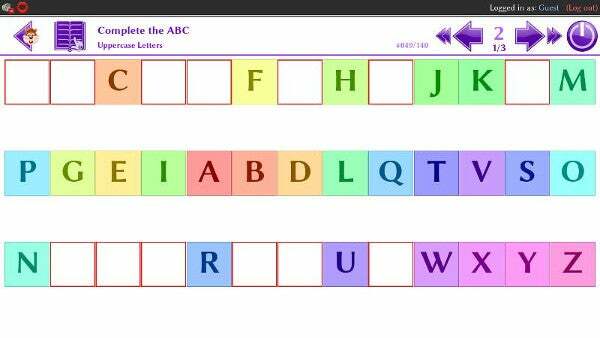 The app includes activities for sorting letters to form words, memory games to match words to images, and letter-tracing writing activities. The app is developed by Curious Learning, which states: "We create, localize, distribute, and optimize open source mobile software so every child can learn to read." While Feed the Monster's offerings are geared toward early readers, Curious Mind's roadmap suggests it's headed towards a more robust personalized literacy platform growing on a foundation of research with MIT, Tufts, and Georgia State University. Syntax Untangler is the outlier of this group. Developed by a technologist at the University of Wisconsin–Madison under the GPLv2, the application is "particularly designed for training language learners to recognize and parse linguistic features." 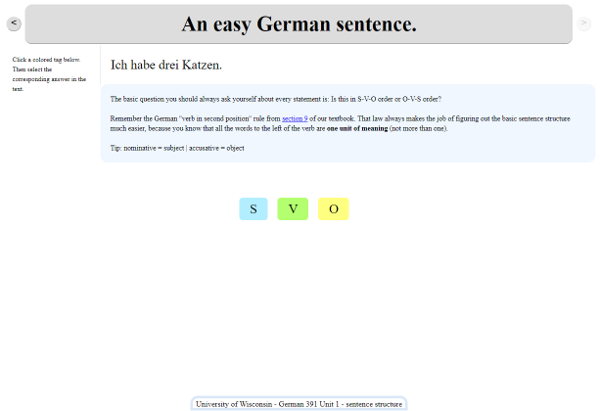 Examples show the software being used for foreign language learning, but anyone can use it to create language identification games, including games for early literacy activities like letter recognition. It could also be applied to later literacy skills, like identifying parts of speech in complex sentences or literary techniques in poetry or fiction. Access to literary environments has been shown to impact literacy and attitudes towards reading. Why not strive to create a digital literary environment for our kids by filling our devices with educational technologies, just like our shelves are filled with books? Now it's your turn! What open source literacy tools have you used? Comment below to share. Where is the source for Feed the Monster? Thanks for this Laura, working at times as a digital literacy tutor I have colleagues teaching adult literacy who struggle to find literacy applications suitable for adult learners. Feed the Monster and GCompris are two great literacy tools to ignite the children's minds to the next level by providing them the clear knowledge. Feed the Monster is my personal recommendation and am using it to teach my kids about this along ignition app development.